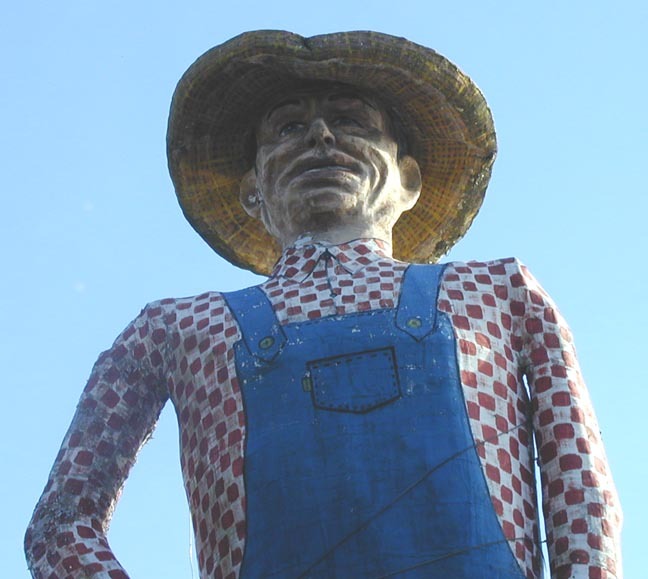 This Giant Farmer was about 40 feet tall and installed at United House Wrecking. He stood for many years ago at the Danbury State Fairgrounds. Originally, the Farmer's arm was outstretched but United House Wrecking fixed it in a down position, figuring it was safer that way. 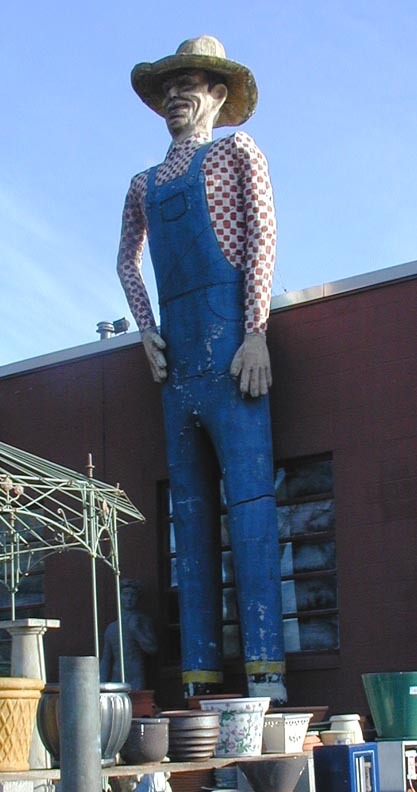 Around 2001 when these photos were taken, United House Wrecking said they were building a larger facility and planned to move this statue there and possibly restore him. However, sometime after that, the statue was broken apart in a storm and destroyed.